Whether you manage a house of multiple occupation (HMO) or you’re currently living in rented accommodation, you’ll know the struggle when it comes to choosing appropriate temporary window dressings. In these types of properties, you’ll often have to replace items on a regular basis, meaning it can soon become a costly and tiresome job. With that in mind, you want something that’s affordable and easy to install. Read on as we discuss whether temporary curtains or temporary blinds are the best solution. With keys constantly changing hands, it can seem like a tricky task finding a suitable way to cover your windows in temporary accommodation. Don’t worry. You don’t have to resort to extreme measures with paper blinds or bed sheets. Instead, put the bedding down and try an online wholesaler. With wholesale pricing you can find affordable and quality window dressings without going through the hassle of larger retailers. This means you can buy in bulk and not worry about the cost of constant replacements for new tenants or residents. But, when deciding on the best temporary solution which is best – curtains or blinds? When buying curtains, especially for HMOs or other temporary accommodation, you want something affordable, but still high quality. Fortunately, wholesalers offer a great affordable alternative compared to more expensive brands. So, you don’t need to compromise on quality to stick to a budget. One important consideration is the fitting. If your window frame already has a curtain pole or track to hang them, curtains are an easy and practical way to add a stylish touch to any room. However, if the window doesn’t have a pole or track, curtains aren’t always the easiest option. On the other hand, blinds are great choice for temporary windows fixtures. Because they’re smaller and easier to use, blinds are ideal for for temporary accommodation. Not to mention they are a more cost-effective option, using less fabric. If you don’t have tonnes of space, blinds are perfect as they don’t take up much room around the window frame. They are also practical and easy to fit. Simply cut and adjust the length and width of the blinds to suit your needs. 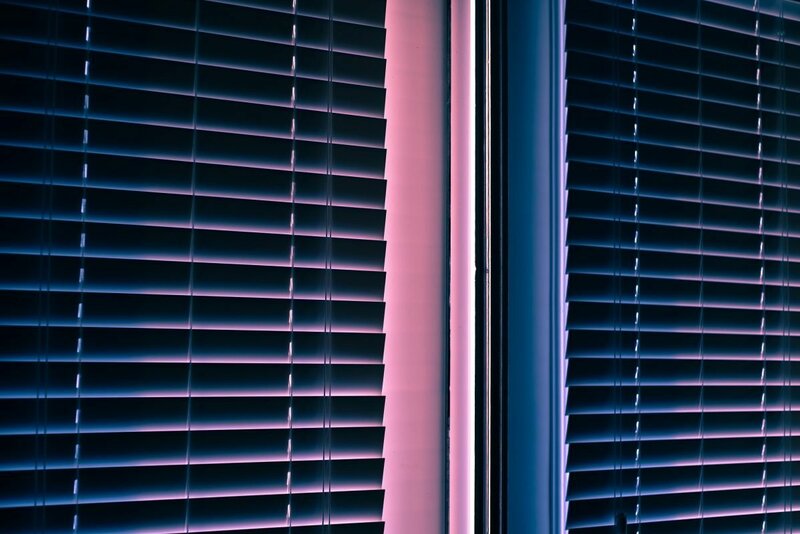 If you’ve decided on blinds as a temporary dressing for your windows, the next question is which type to choose. From Venetian to vertical, there are several types of blinds, each with their own benefits. As a temporary solution, roller blinds are undoubtedly one of the best options. With a simple one-panel design, they are completely fuss-free. Choose from a variety of colours, patterns and designs to add a pop to an otherwise simple space. Most roller blinds also come equipped with the necessary screws and brackets to install all on the same day, so there’s no worrying about tricky instalment issues. Whether you decide curtains or blinds are the best temporary solution, Homefords are here to help with high-quality furnishings at amazing wholesale prices. When you buy in bulk online you can trigger even more discounts to find the perfect solution for temporary, but stylish window displays. Want to find out more about our curtains or blinds? Email hello@homefords.co.uk to arrange a call with one of our team. This entry was posted in HMO and tagged Blinds, Curtains, temporary.